LONDON -- GlaxoSmithKline will stop paying doctors for promoting its drugs and scrap prescription targets for its marketing staff - a first for an industry battling scandals over its sales practices, and a challenge for its peers to follow suit. Britain's biggest drugmaker also said on Tuesday it would stop payments to healthcare professionals for attending medical conferences as it tries to persuade critics it is addressing conflicts of interest that could put commercial interests ahead of the best outcome for patients. "Where GSK leads we must hope that other companies will follow," Fiona Godlee, editor of the British Medical Journal and an influential campaigner against undue industry influence in medical practice, told Reuters. "But there is a long way to go if we are to truly to extricate medicine from commercial influence. Doctors and their societies have been too ready to compromise themselves." 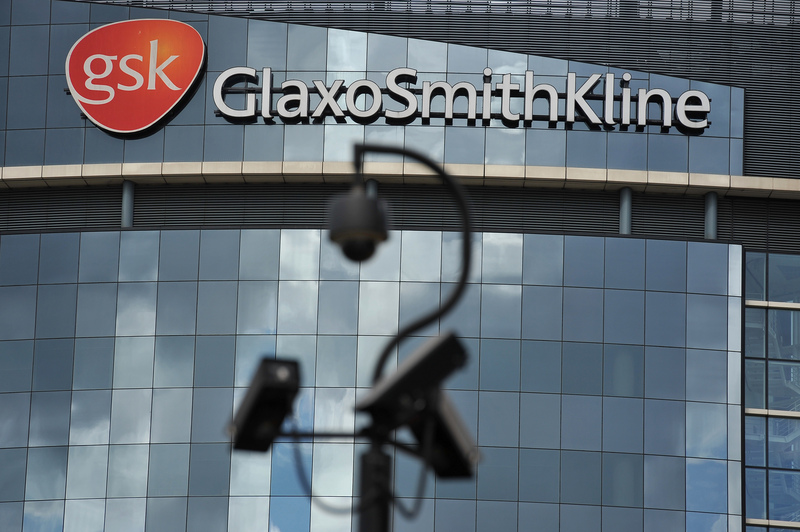 GlaxoSmithKline's move comes amid a major bribery investigation in China, where police have accused it of funneling up to 3 billion yuan ($494 million) to travel agencies to facilitate bribes to boost its drug sales. In the United States, the industry's biggest market by far, many companies have run into conflicts over improper sales tactics and GSK reached a record $3-billion settlement with the U.S. government last year over charges that it provided misleading information on certain drugs. AstraZeneca said in 2011 it was scrapping payments for doctors to attend international congresses but others, until now, have not followed suit and GSK's actions go further. An AstraZeneca spokeswoman said on Tuesday it had tightened up practices in 2011 so that its actions could not be seen as an inducement for doctors to prescribe its products. Officials at other major drug companies were not immediately available to comment. Tim Reed, head of Health Action International, an Amsterdam-based non-government organization critical of Big Pharma, said the GSK move would increase the pressure on other companies. "I think other companies will follow suit - but one of the biggest problems is that the industry persists in regulating itself," he said. "The only way to properly control promotion is strong and enforced regulation by the state." GSK's Chief Executive Andrew Witty said in a statement that his company's actions were designed to ensure that patients' interests always came first. "We recognize that we have an important role to play in providing doctors with information about our medicines, but this must be done clearly, transparently and without any perception of conflict of interest," he said. The decision to stop payments to doctors for speaking about medicines during meetings with other prescribers marks a big shift for a global industry that has always relied heavily on the influence of experts in promoting products. GSK said it aimed to implement this move and a related measure to end paying for doctors to attend medical conferences by the start of 2016. The company currently spends some 50 million pounds ($82 million) a year on paying doctors to speak or attend conferences, according to estimates from industry sources. The change in payments to GSK's sales representatives will be implemented faster, following a successful test-run in the United States, where payments have been decoupled from the number of prescriptions generated since 2011. The policy of ending individual sales targets will now be rolled out globally. GSK said it planned to implement the new compensation system in all countries by early 2015. Its U.S. 'Patient First' program bases pay for commercial staff on a mix of qualitative measures and the overall business performance, rather than the number of prescriptions generated. Vivienne Nathanson, head of science and ethics at the British Medical Association, said this approach made sense for patient care. "It is pleasing to see a large pharmaceutical company like GlaxoSmithKline recognize that it can reduce the possibility of undue influence by rewarding employees for providing high-quality information and education for doctors rather than for their sales figures," she said. GSK will still pay fees to doctors carrying out company-sponsored clinical research, advisory activities and market research, which it said were essential in providing insights on specific diseases.